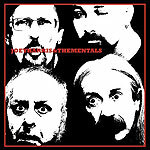 CD review: "Joey Harris & The Mentals"
Former member of the lengedary San Diego roots rockers The Beat Farmers Joey Harris has spent the past few years leading a veteran combo around San Diego under a shifting number of names. Of late, the quartet is known as the Mentals, and includes Mighty Joe Longa (a former Tom Cat Courtney sideman and member of Buddy Blue's The Jacks) on keyboards, bassist Jeff Kmak (Penetrators, Powerthud) and newcomer Josh Mader on drums (although Kmak's brother, Joel, played drums on this album before leaving to focus full-time on The Farmers). The music here rocks out harder than most of the Beat Farmers' stuff, with less of the country overtones than informed it. Harris is a strong, confident rock 'n' roll singer, and a very solid guitarist to boot. Longa is as soulful an organist as you'll find, adding a '60s soul groove. And the Kmak brothers have been laying down the foundation for some of San Diego's best music for more than 30 years now  there's no better rhythm section in the local rock scene. (And on the one track he plays, new drummer Mader shows he can hold his own and find a solid groove with Jeff Kmak). The result is a soulful, rocking album full of tight songs performed with all the passion and polish you'd expect from what is in reality a San Diego all-star combo. The tribute to his young son, "Little Boy," is as pure a rocker as Harris has ever written, and the band just tears it up. "Don't Go" holds a midtempo groove, and Harris shows off a bit on guitar during his solo. "Get Out of My Way" is a '70s-influenced anthem with some more solid soloing from Harris. Not all the songs are up to these standards, but when Harris' songs click and the band hits its stride, this is as good as San Diego rock has ever been.